I have cellphone ADD. I can't seem to keep the same phone for a long time. It's pretty amusing actually. So much so, that I felt the need to make a timeline blog! Enjoy! 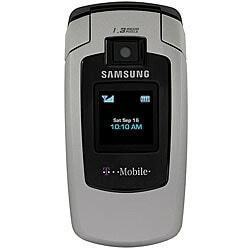 My next phone was just toooooo cute. Samsung x475. Then, I got a green phone. I love all things green! Motorola W490. Buuuuut I wanted an iPhone SO badly. SO SO badly. Sooooo I got an unlocked one :) First generation. Vintage status now! Tell me why anyone in their right mind would switch to something else after having an iPhone...I told you I have cellphone ADD! Next up: Samsung Gravity T669! I tried to convert it into a green phone (bad idea! ), thrashed it, and then got a new Blackberry instead. Blackberry Curve 9300! $650 for a phone??? Is it worth it?! It's legal now! I bet you've never even heard of the man. But this man wrote one of the most popular hymns in history, "It Is Well With My Soul." From the words of the hymn, you would never know how many miserable trials the man was going through. First, his only son died at the age of 4. Then, the great Chicago fire destroyed him financially. He planned to travel to Europe with his family, but financial issues caused by the fire delayed him. He sent his family ahead, but the ship sank while it was crossing the Atlantic. Miraculously, his wife survived, but all four of his daughters were lost to the sea. As Spafford rode on the next ship to catch up with his grieving wife, he wrote the famous words to this hymn. Interestingly, he was able to praise the Lord and say "it is well with my soul" even in the midst of his extreme trials. My trials pale in comparison to his, but I don't know that I have ever praised the Lord in the midst of them. Lord, please give me faith enough to see You in the midst of the storm. Help me to lift up my hands and my heart in praise even when I am humbled and down on my face. We got into a huge fight today and I feel like crap. I am tired of all this striving. I'm putting so much emotion and energy in a person who depletes my supply. Why is it so hard for guys to say a simple "I'm sorry"? That is all it takes. Really. Ironically enough, Pastor Brian's message two Sundays ago at church really hit me. (What's new? Pastor Brian always does that.) His message was about waiting on the Lord. He basically said the following: panicking is not waiting, striving is not waiting, fighting is not waiting, and scheming is not waiting. Lord, help me to wait on You. Clearly, I am having difficulties. I used to hate country music. With a passion. Now, I can handle it, but I still don't like it. Strangely though, I loooooove bluegrass music. It makes my heart happy. Several people over the years have asked me how that is possible. Some have even stooped so low as to say that bluegrass and country are the same thing. But I beg to differ. They may use the same instruments, but they definitely sing about different things. And bluegrass has no twang. So there we have it. The source of my hatred: twang.